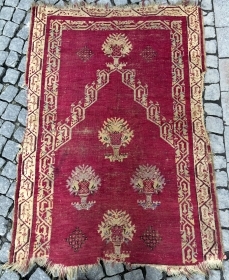 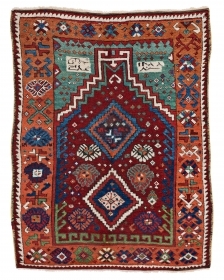 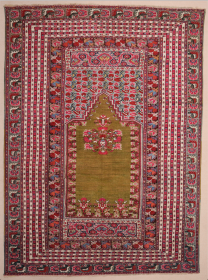 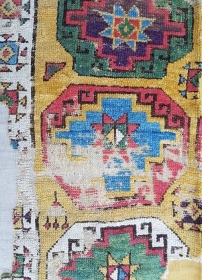 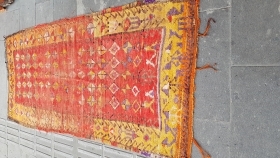 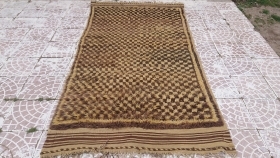 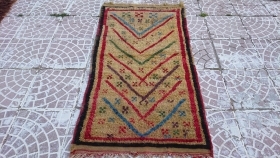 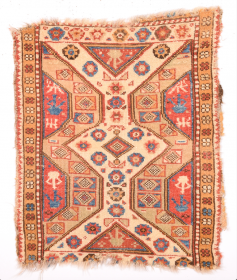 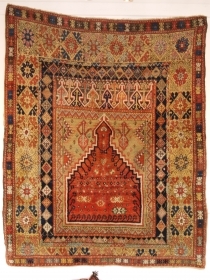 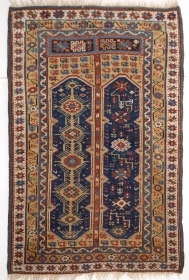 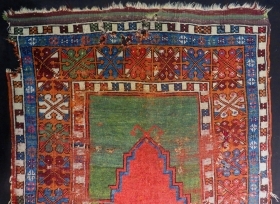 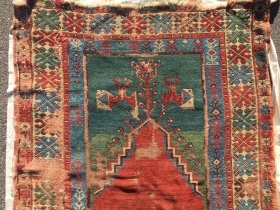 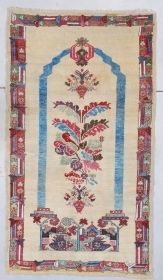 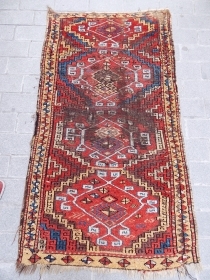 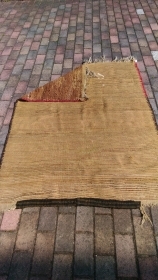 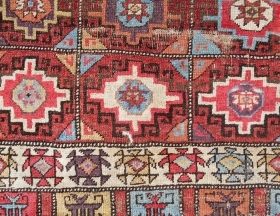 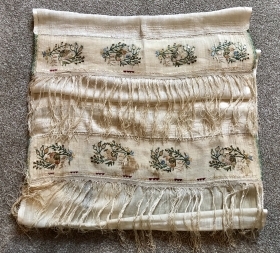 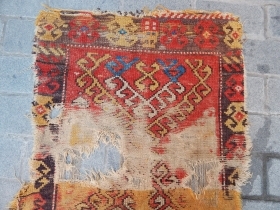 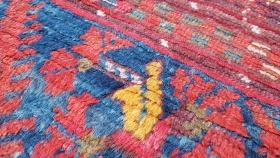 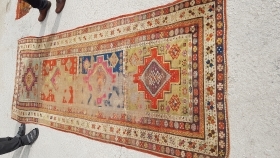 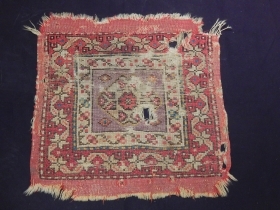 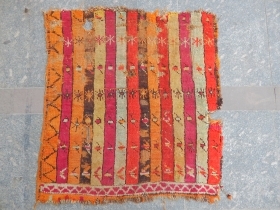 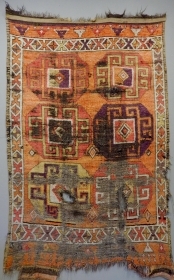 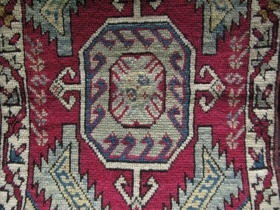 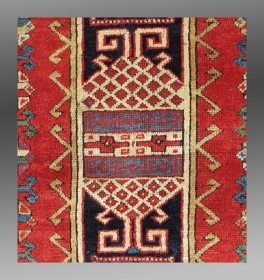 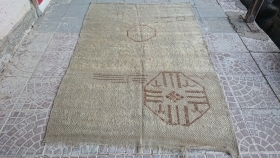 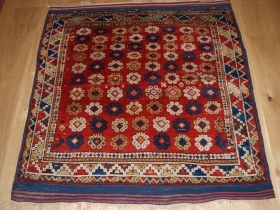 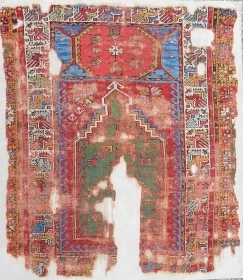 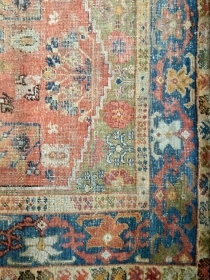 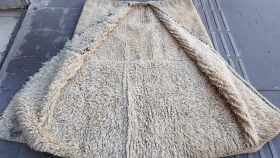 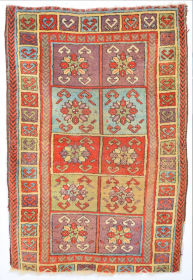 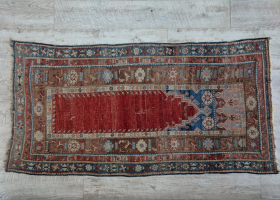 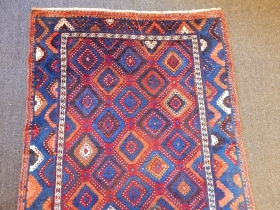 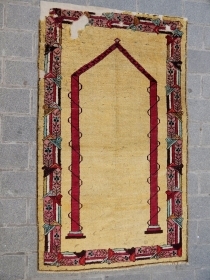 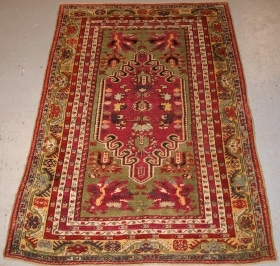 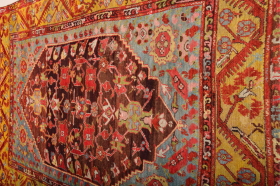 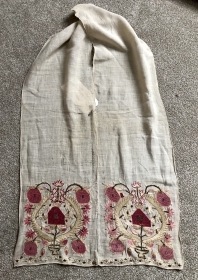 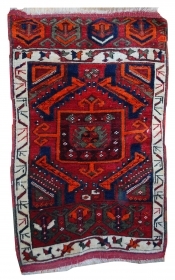 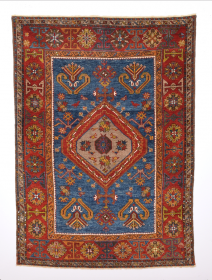 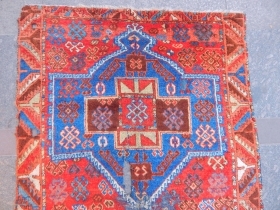 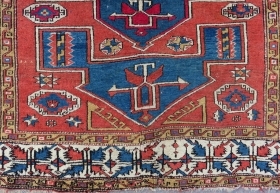 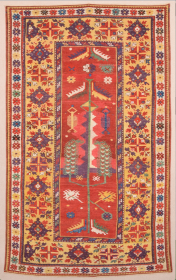 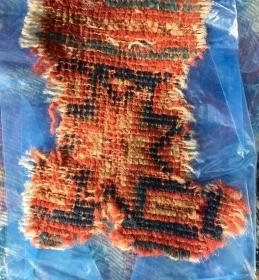 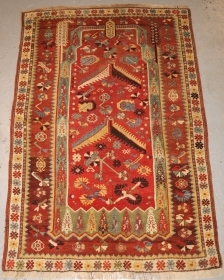 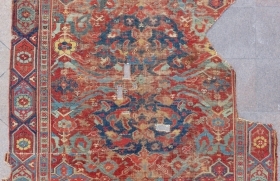 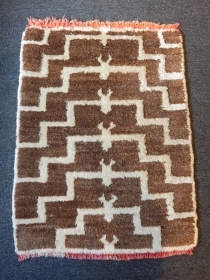 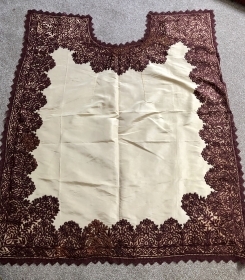 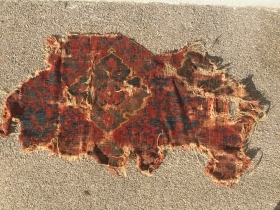 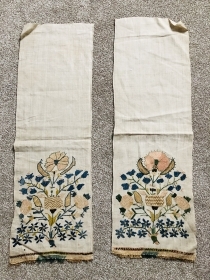 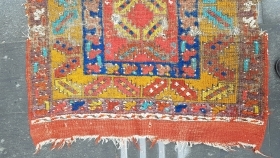 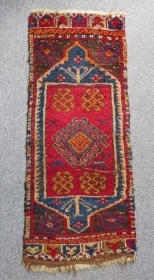 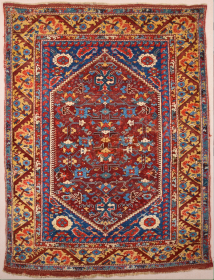 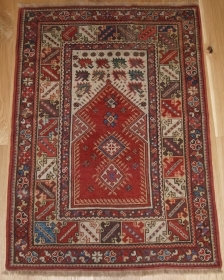 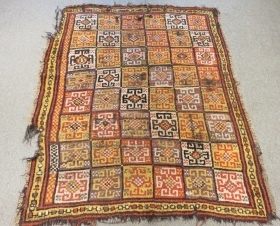 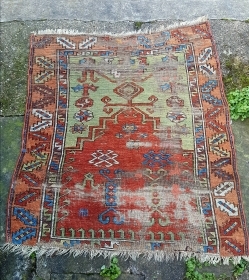 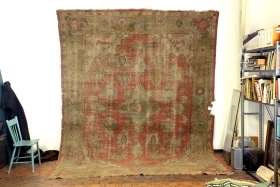 Small 18th c. Anatolian Mudjar prayer rug. 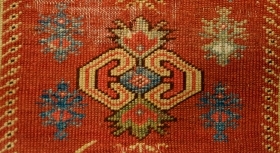 Conserved and professionally mounted on linen. 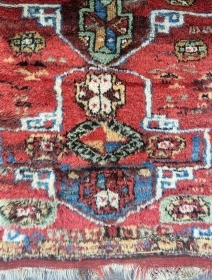 Fantastic color!